Articulation exercises are extremely important in the prevention of speech disorders as well as speech and language therapy of children. How to encourage children to perform them? We present a scenario of articulation exercises for kids that will be led by the Dino hand puppet. They can be done both in kindergarten and at home. Let’s start tongue gymnastics. “Our little Dino is a very friendly, cheerful dinosaur and often smiles (we smile broadly). It has a big mouth (we open our mouth widely) and a long tongue (we stick the tongue out). Dino’s tongue is very agile (we stick the tongue out and then hide it, as far as possible). It also has strong teeth – let’s count how many there are (we touch all the teeth one by one, at the bottom and at the top, with the tip of the tongue). Dino is a big glutton, as soon as it thinks of something tasty it licks its jaws around (we lick the lips around) and it munches loudly (we imitate munching). It loves to eat candy (we imitate sucking of a candy). When a piece of a candy gets stuck in its mouth, behind its teeth, Dino detaches it with its tongue (we touch the upper teeth with the tongue). Dino carefully brushes its teeth after eating (we move the tongue along the lower and upper teeth), it checks whether all are clean (we touch the tip of the tongue to the top and bottom teeth). When all the teeth are sparkling clean, Dino grins (we grin), and even sends kisses (we arrange the mouth like the spout). Dino is very fond of games and its favourite is the imitation game. 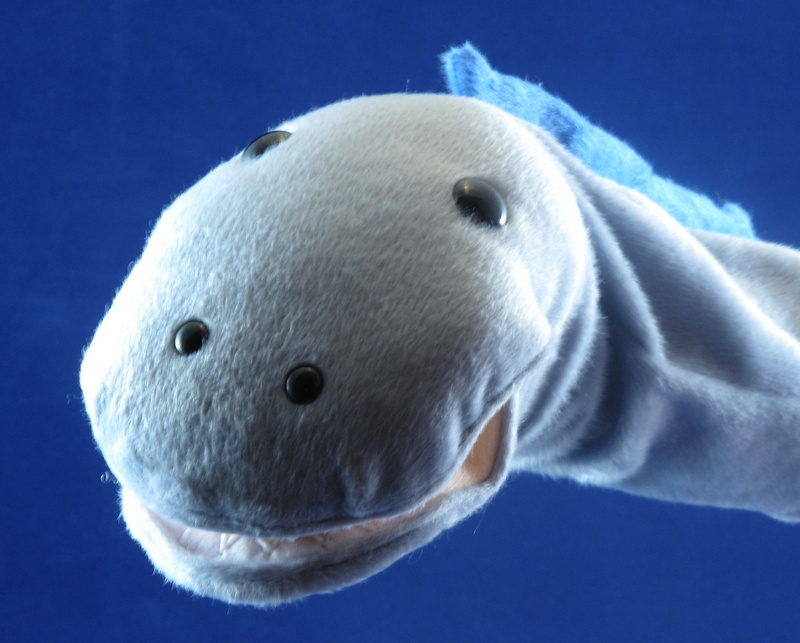 Articulation exercises with a puppet can be used during individual lessons, group classes, as well as to diagnose articulation organs efficiency. 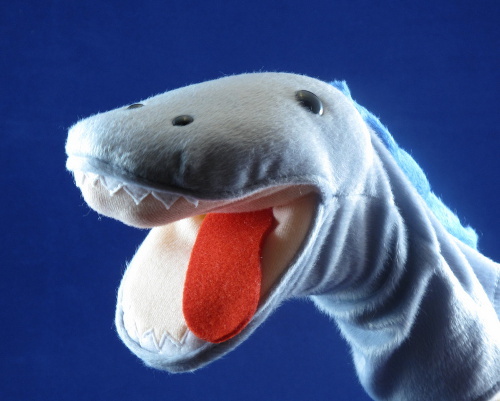 Get the Dino speech therapy puppet alone or in sets of 3 or 6 units.